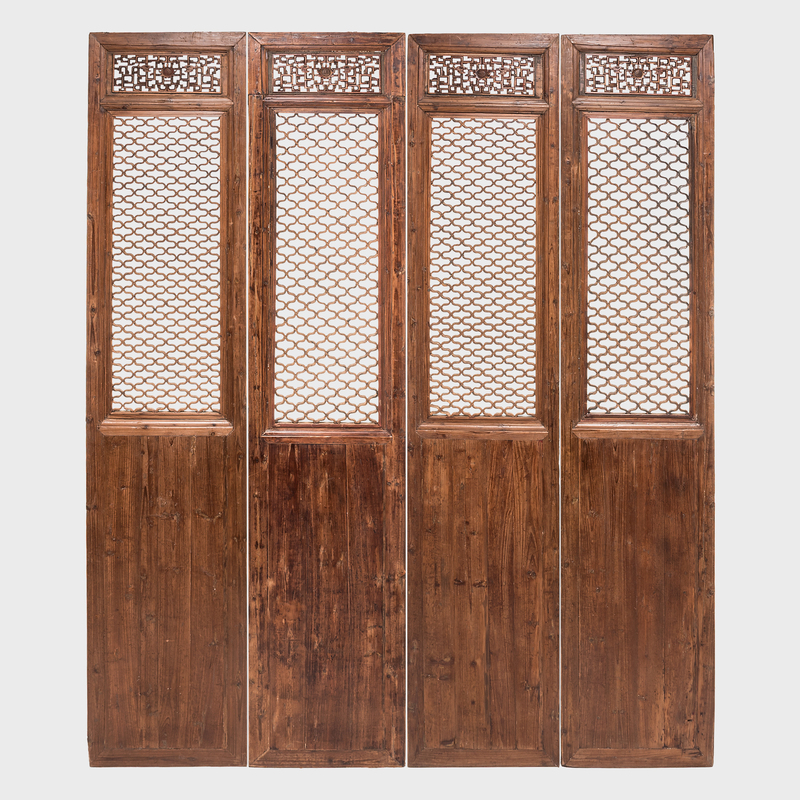 W: 30.5" D: 2.25" H: 84.0"
Elegant in its simplicity, this 19th-century lattice window panel was designed to allow light and air in while providing a degree of privacy. 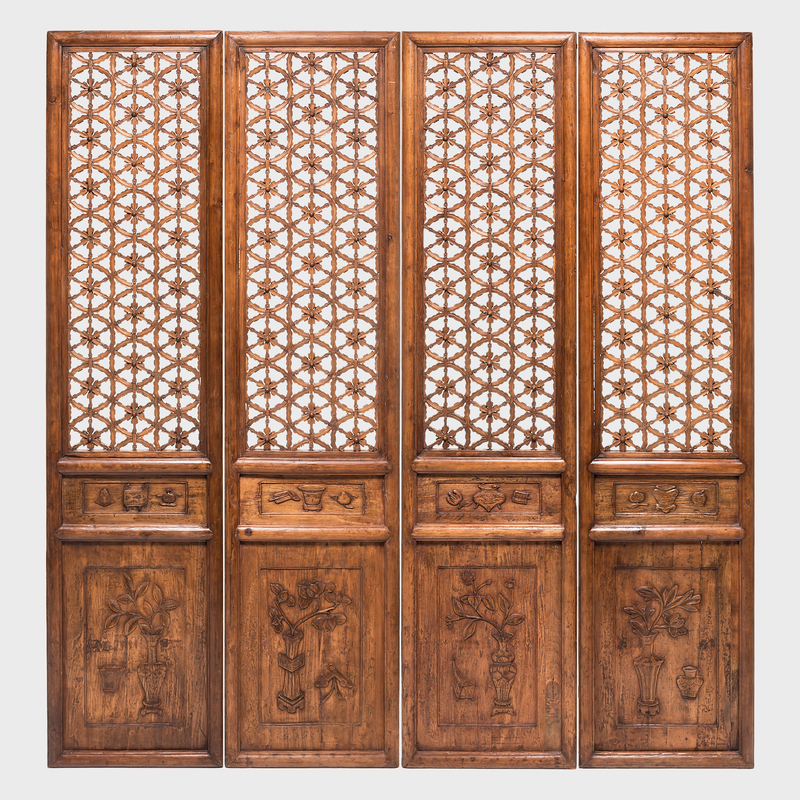 Different from carving or perforating wood, the art of making a lattice was an exacting craft. 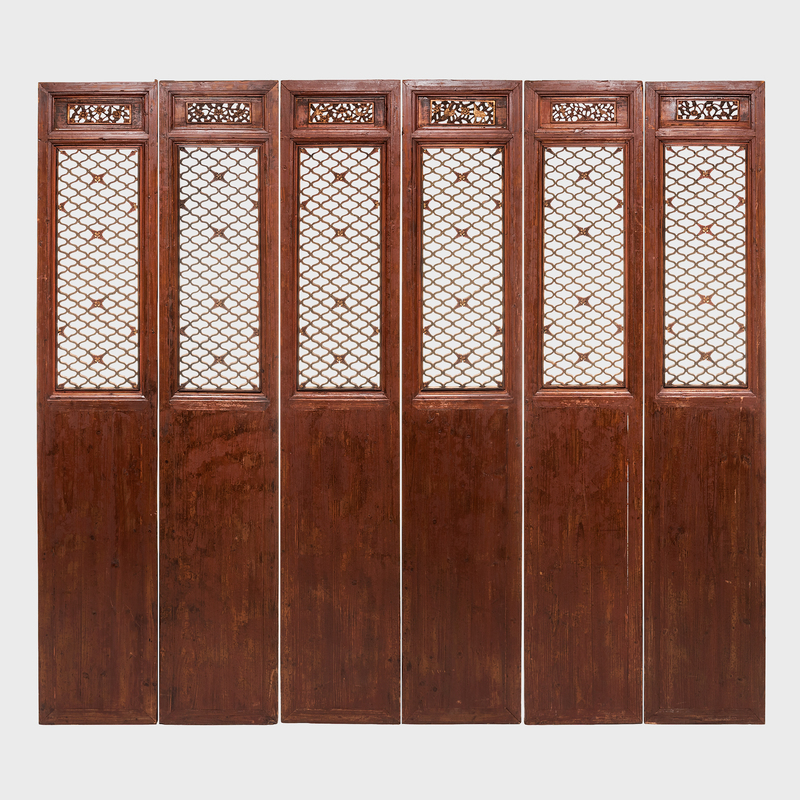 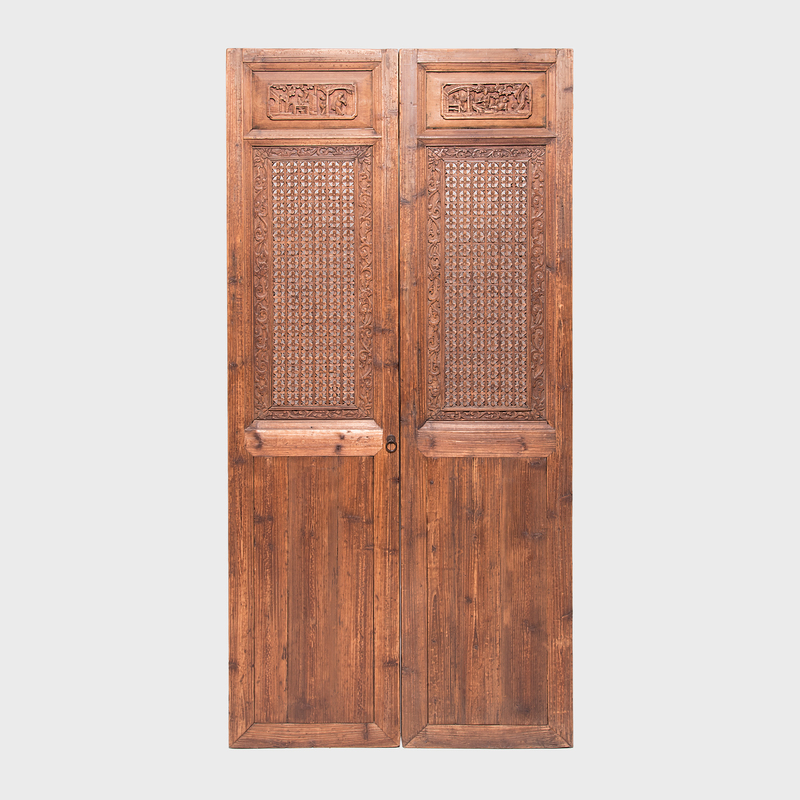 Requiring expert woodworking skills, the screen was created by precisely interlocking long and short pieces of carved fir. 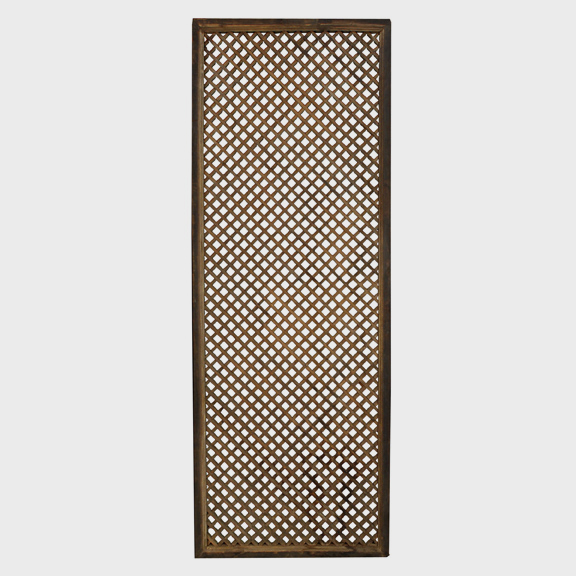 With its timeless diamond lattice, the panel brings room-defining geometry to a modern context.